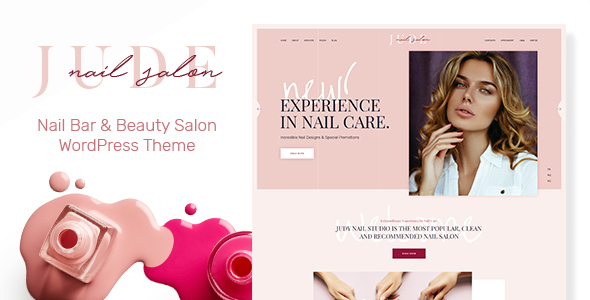 Jude is a fresh & clean WordPress Theme created especially for stylish Nail Bar, Beauty Salon and it can be perfectly suitable for any kind of beauty service, such as Makeup Bar, Brow Bar, Spa, Hair or Massage Center and Barber salon. With it’s modern and functional design you can promote your trendy nail art, nail design store, manicure & pedicure services shop or other salon procedures. The theme will match almost any project in the field of health and beauty industry, like cosmetology, hairstyling, spa, massage and beauty care. Jude is equipped with such premium plugins, as WPBakery Page Builder. For visual customization and attractive Revolution Slider as a home slider; it is packed with pretty portfolio styles powered by Essential Grid plugin, and is compatible with Instagram Feed. 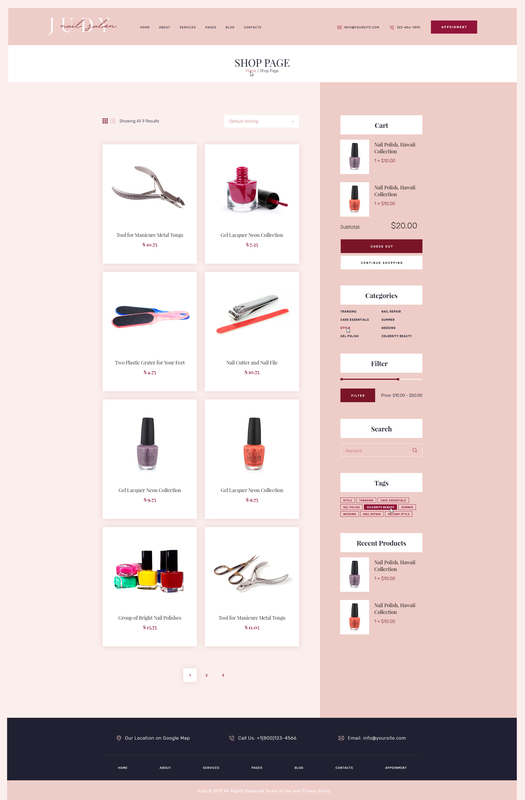 The theme features full support of WooCommerce plugin using which you can turn your website to an online store of skincare products, hair and body cosmetics, fragrances, and health or makeup products.